You may wonder how to separate audio from video without damaging original quality. Explicitly, there might be times you have to extract audio from MP4, cut video to MP3 or something similar. Being easier than you think, you can carry out any extracting task online or offline at your own will. To assist you to figure out how each tool works, we attach quick guide for these 2 simple methods for your kindly reference as below. Online Audio Converter is a web-based tool that specially made for audio extracting. It can supports over 300 different file formats without installing any other program. 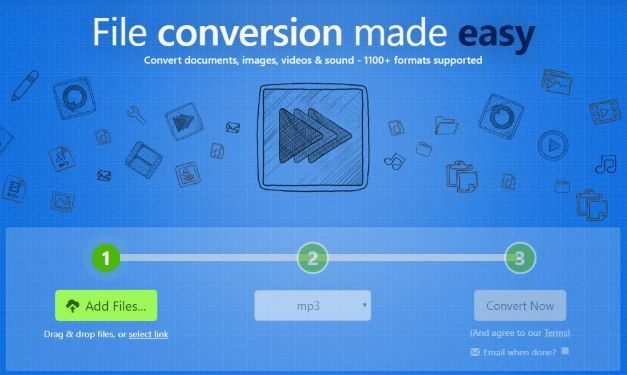 More amazingly, this handy audio converter enables you to make batch conversion, edit tag info, extract audio from video, etc. easily. Here's how to utilize it. Note: By this compact online tool, you will find it is simple to get any audio track from your original video. However, if you want to cut the track, you should ask other online software for help. Flexible as Online Audio Converter is, it allows you to upload file(s) from your local folder, Google Drive, Dropbox or even via URL. Be clear about that the maximum size of a file you can upload is 2048 MB. To extract audio from the required video source, you are supposed to choose a desirable format, such as MP3, WAV, iPhone ringtone format, M4A, FLAC, OGG and more (MP2 and AMR). For each format, it is accessible to set up quality by yourself. The quality level includes "Economy", "Standard", "Good" as well as "Best". If you want to make your converted audio file more manageable, you can enter "Advanced settings" option to customize bitrate, sample rate and channels. You can also add fade-in/fade-out effect, select fast mode, try to remove voice and reverse audio file as you like. Simply press the "Edit track info" button. In this section, you are enabled to add necessary info for your audio track, like title, artist, album, year, genre, or relevant introduction. Now, you can click the "Convert" button. This easy-to-use online program will extract audio from original video file without hassle. Once the whole conversion process is done, you can hit the "Download" icon to save it on your computer for offline enjoyment. As an offline audio extractor, Joyoshare Media Cutter can be your top priority to get audio from video securely. No matter what kind of media file you import to this program, it is capable of helping you cut off needless fragments to make size smaller. Essentially, it can do well in combining distinct portions into a new one after your trimming. Aside from automatically keeping high quality, Joyoshare Audio Extractor also has ability to customize format, quality, codec, bitrate, channel, etc. as you please. Alternatively, it provides access to output audio track to any popular format, for instance, MP3, M4A, AAC, OGG, WAV, WMA, M4B, MKA, FLAC, AIFF, etc. Taking the aid of it, you are empowered to setup cutting area accurately. Undoubtedly, you will be shocked at its fast speed, which can up to 60X. 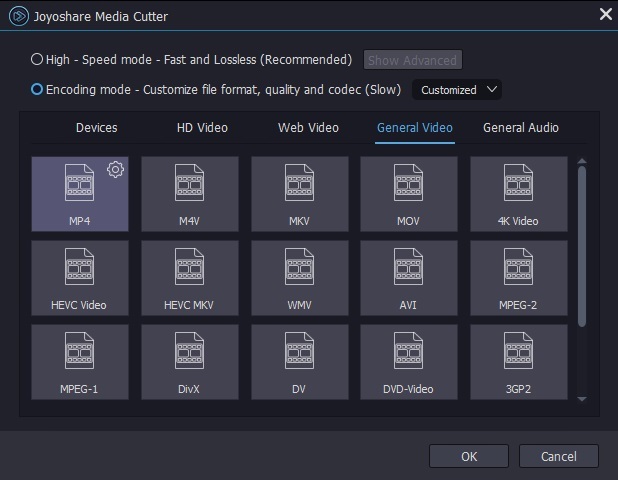 Make sure that you have already installed Joyoshare Media Cutter on your computer ahead of time. Directly launch it to make it work for you. You can hit the "Open" button to select video file from local hard drive. Of course, it's also feasible to drag and drop the required video. Only get favorite parts left, you can firstly get rid of unnecessary pieces. Move the slider key to decide both beginning and end points. Additionally, you can manually enter the exact time to the well-designed temporal intervals. To enhance accuracy, you can refer to either timeline or controller. 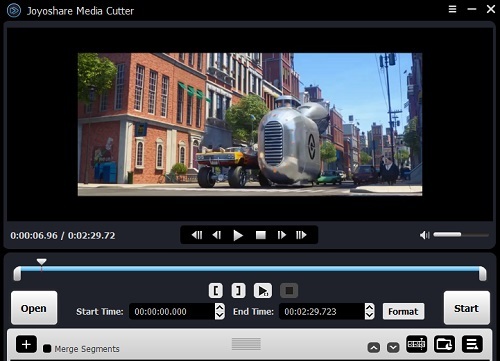 In case you'd like to merge multiple segments into one, Joyoshare Media Cutter offers capability to realize it as long as you hit "+" icon and tick "Merge segments" option. 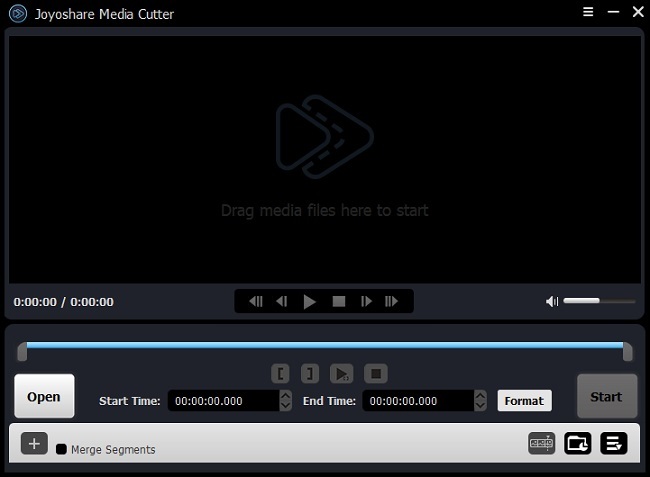 If you want to cut large video into multiple segments once, you can click the "+" icon to create a new cutting task in the progress. The critical step is to set audio format. Otherwise, you cannot get audio from video successfully. Clearly, go forward to press "Format" panel and access to "General Audio". You can choose whichever you appreciate, for example, MP3, AAC, WAV, WMA, M4B, M4R, MKA, FLAC, OGG, AIFF, etc. Unless you want to customize codec, channel, sample rate, bit rate, etc., you don't have to click the gear icon located at top right corner of each format. Once everything gets ready, you can straightly press the "Start" button to manipulate this smart program. After waiting for a short time, you can get what you want for later listening. Extract Audio from Video with VLC? Solved!